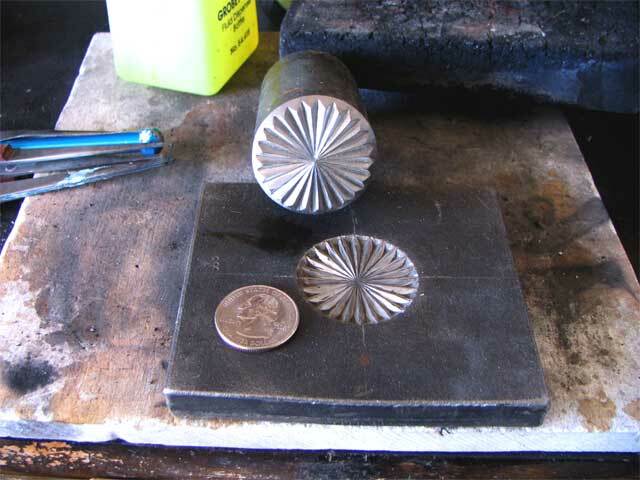 Making conchas are usually made with a matching male/female die called a repousse﻿ die. 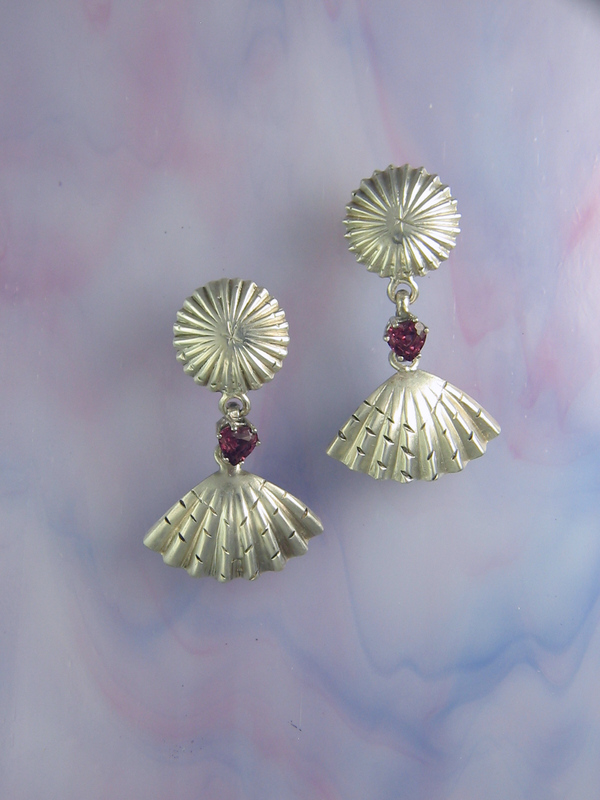 There are some commercially made ones, but many traditional silversmiths make their own. To make them and use them takes a good deal of skill, even with the commercially made ones. The commercial ones don’t come looking pretty like the one below. They have to be dressed, trued, registered and polished. Once that is done, then you can start using them. The conchas below are the typical round shape. The patterns are diamond cut. Many people mistakenly call conchas “conchos.” Concha is from the Spanish word for conch and other sea shells, and it gender specific for female. However, in certain countries it is also slang for a specific part of the female anatomy. It’s not a nice slang word, so if you’re south of the U.S. border, feel free to use the word “concho”! 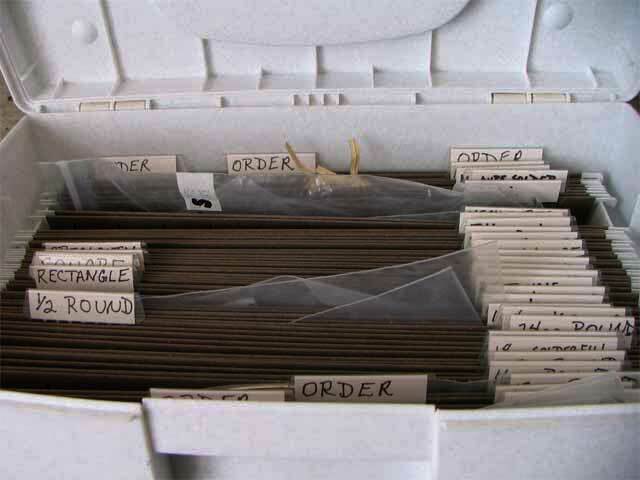 We all have our little tricks for keeping things organized in our studios and around the bench. We have so many of those little things. Here’s a few of mine that I use, and maybe you’ll be able to use one or two of them yourself. 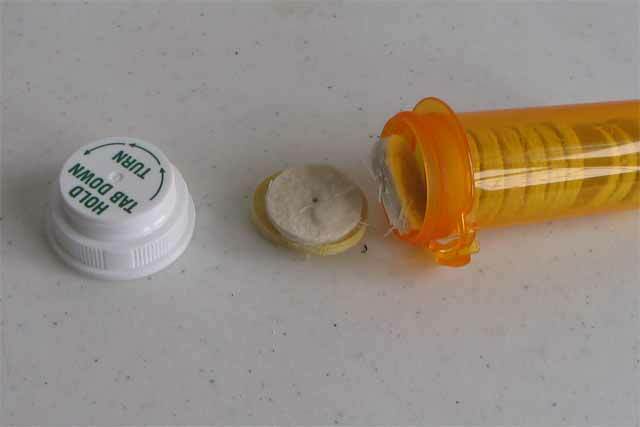 Use pill bottles for organizing stamps, buffs, points and such and to keep them clean. They’re also great when you’re going to a workshop. I keep a couple of magnets stuck on my light over the work area. I use one for my keychuck, and it’s also a handy place to park a bit or point if I’m switching back and forth between a few of them. I have another magnet that holds my sawblades that I’m currently using. From the Orchid Forum, I learned the neat trick of using pill containers for holding cotton soaked with lube for my burs. It’s a lot easier to dip your bur into the cotton than trying to apply one drop at a time to the bur, or to keep the hole filled with lube. 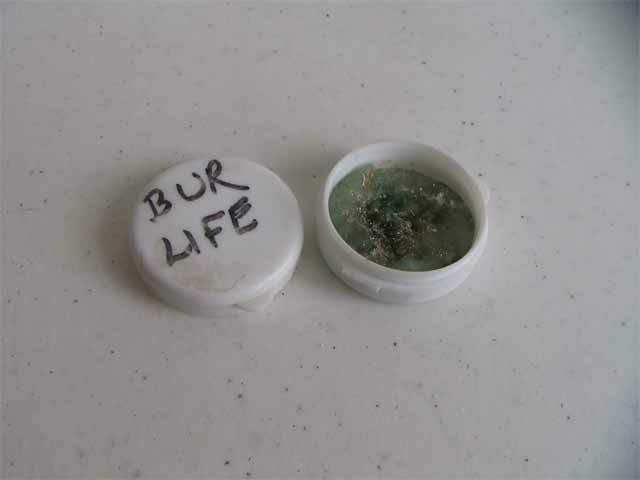 I do like Bur Life from Rio Grande. It cuts down on the chatter better than any other lube I’ve tried. A file box for metal? I splurged and bought myself a map chest. These have shallow, large drawers that are perfect for organizing a bunch of little parts. 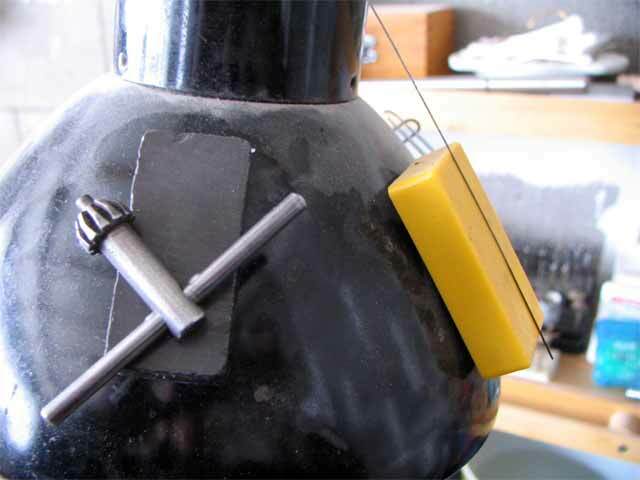 I have gem jars and those nifty watchmaker’s tins from Lee Valley Tools. I like the tins better because I can write either on the glass tops with a marker or on the bottoms, and when I’ve used up the contents, the marker can be wiped off with some alcohol. 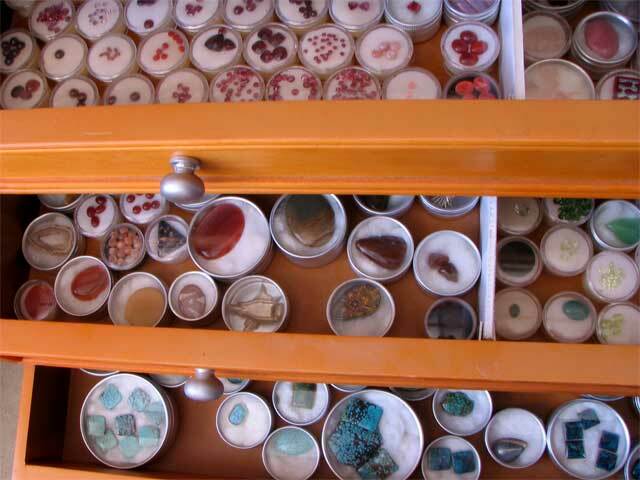 It’s also great for keeping findings and small tools organized. I got my map chest from Home Decorators Outlet for $300 shipped, and it’s all wood, mostly solid. It weighed a ton and it was already assembled! 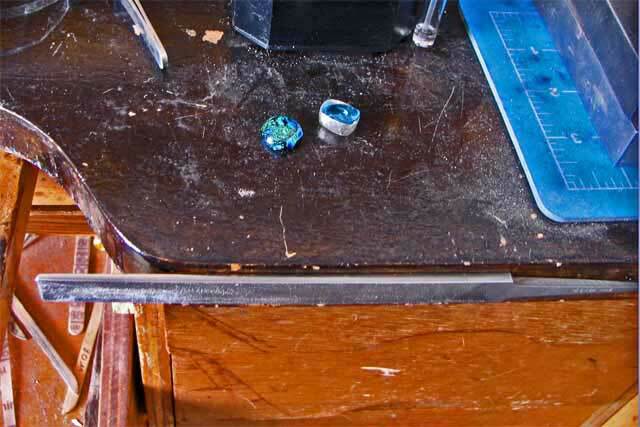 I have super magnets, aka rare earth magnets, scattered all around the perimeter of my bench. They keep my tools that I’m using for a particular project handy without them being in my catch pan. That way I don’t have to worry about dropping a stone on them and scratching some of the softer ones. The cheapest I’ve found them, depending on the sizes, are Amazon and Ebay. One of the techniques I use in some of my work is called fold forming. It can have soft folds that make metal look like fabric, sharp folds that cause the metal to stretch into three-dimensional forms, or a combination of folding and forging﻿ to make fantastical forms. The picture below is an example of a soft fold. 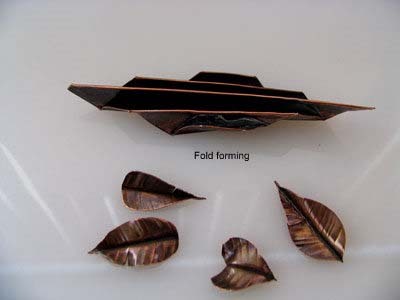 The leaves are an excellent example of fold forming because they have a central spine. 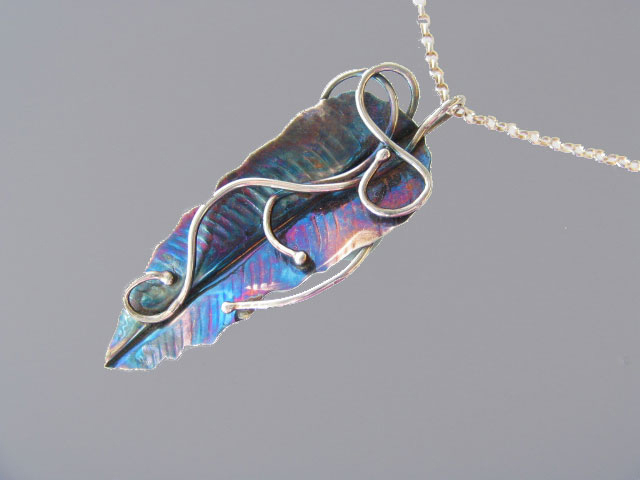 Here’s a leaf pendant made in an Art Nouveau style. 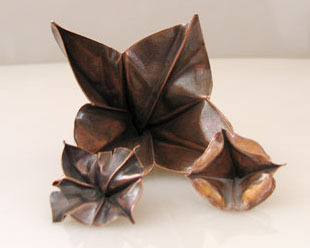 You can get great dimensional shape like these 3-D flowers and cups. 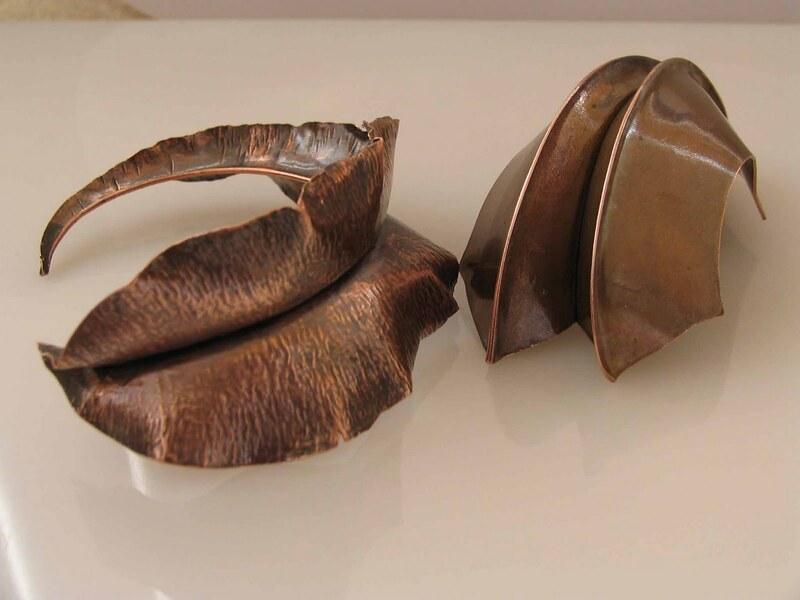 These are more appropriate for sculpture, hollow ware and decorative elements. This is a big leaf and a boat shape. 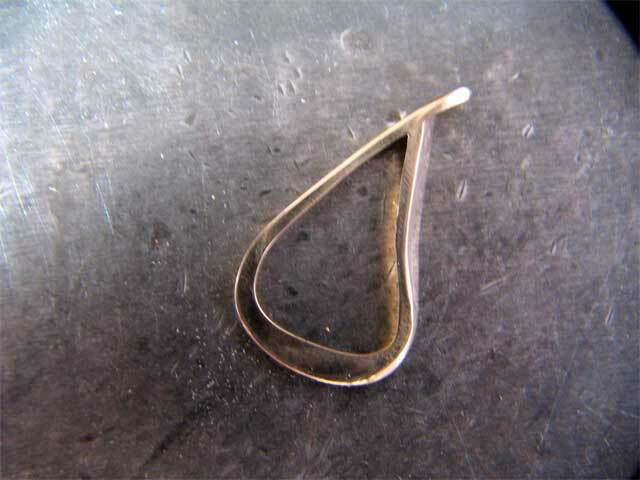 ﻿I like the fold forming techniques for their organic nature, but I lean more towards the score folding techniques because they’re more easily adapted to jewelry. I do custom work, and this is the story of one commission. A customer wanted to use some jewelry she inherited from her parents and grandparents. 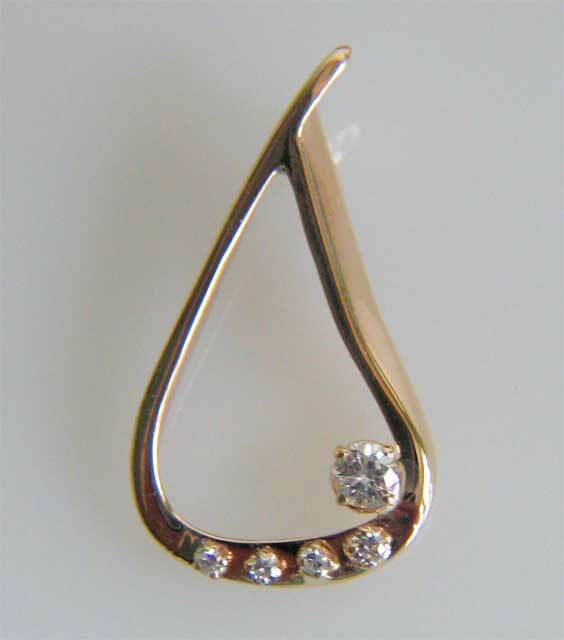 She wanted a pendant using parts of their gold and diamonds. She wanted to use as many of the diamonds as she could. She brought a lot of jewelry with her at our sit down. We chose the following pieces. 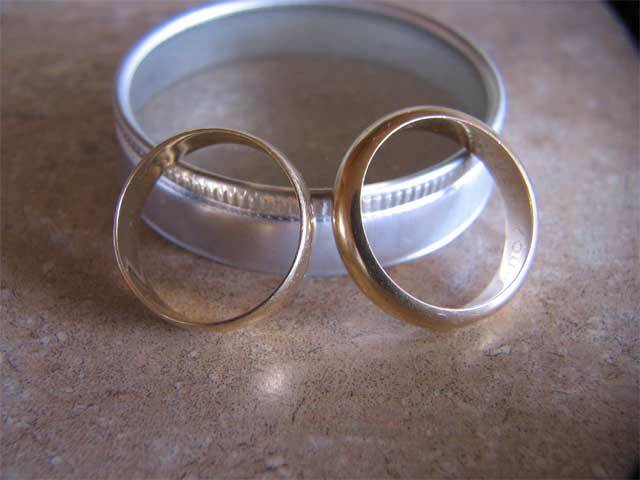 A pair of gold wedding bands. A wedding set consisting of various sized diamonds. 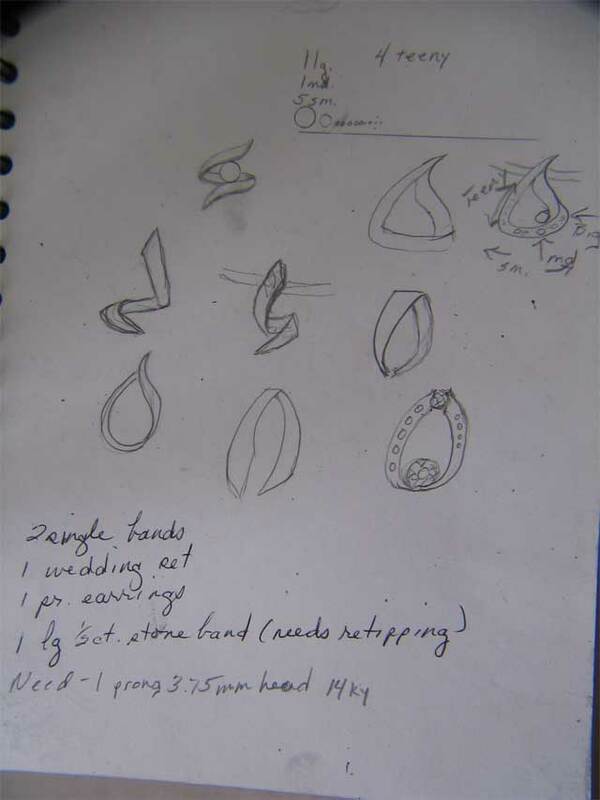 We began the process of designing after determining from her other jewelry and discussing what she liked and why. 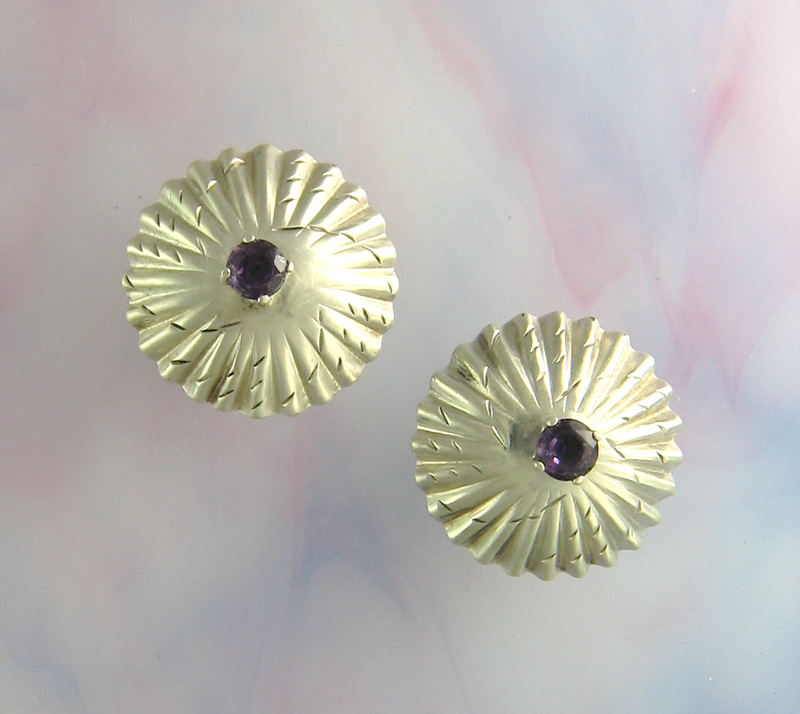 She liked simple but flowing shapes, and she settled on the design at the top right. 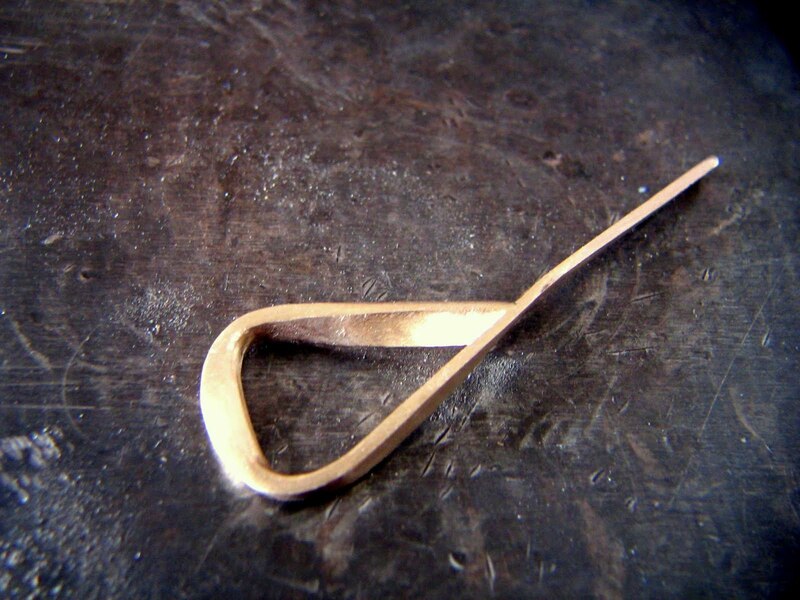 I began by rolling the heavier of the two wedding bands through a mill, and then changed the shape through forging. I soldered the form together and cut off the top piece. Here you see it set with 5 of the largest diamonds, none of which were very large, ranging in size from 1 pointers to a 3 pointer. To give you an idea, there are 100 points in a carat stone. 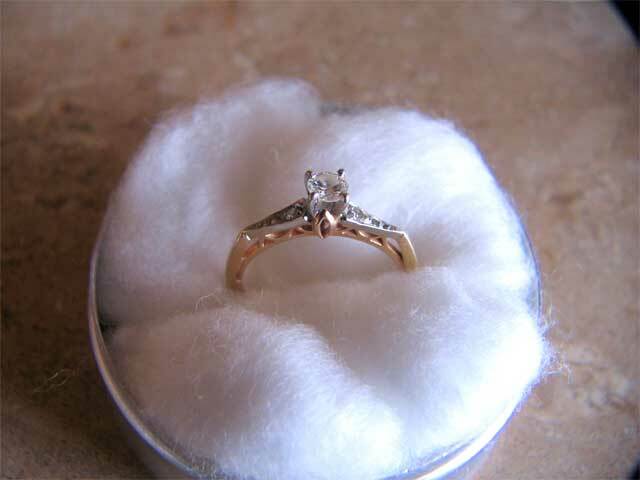 I made a generous hidden bail on the back from one of the rings in the diamond wedding set, because she wanted to wear it with a variety of chains she already had, including an omega. She’s a very petite lady and I had to be careful not to make the pendant too large, and I didn’t want to gild the lily, so I didn’t use all the diamonds. 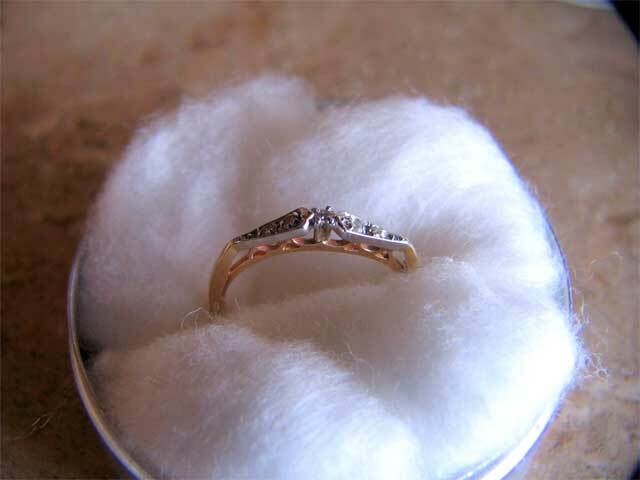 Her other wedding band and the extra diamonds were returned to her. Maybe she’ll want me to make her a pair of earrings in the future. Again, not professional photos, just shots on the bench as I went along making the piece. 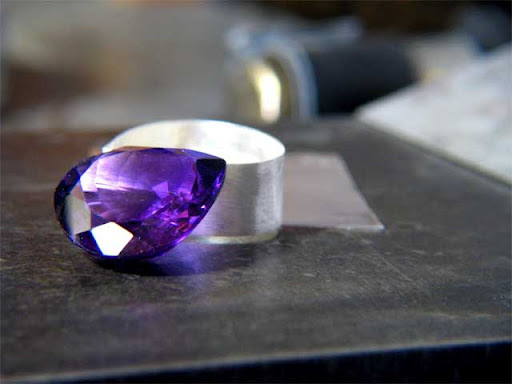 If you’ve enjoyed the step-by-step story of how a piece of jewelry is made, look for similar stories in the “Making Jewelry Storybook” sections. So here’s the stone. 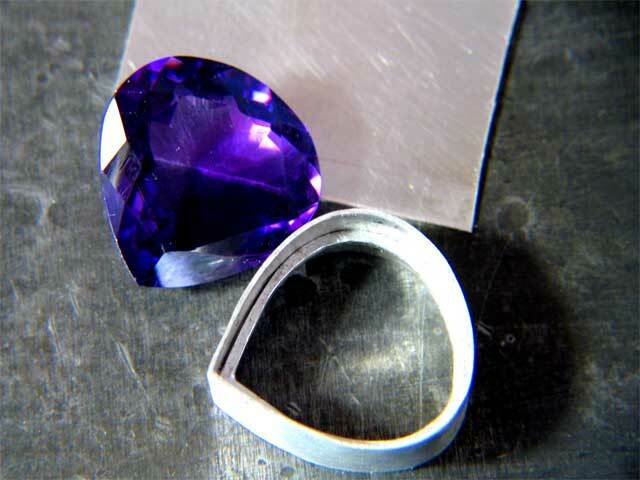 It’s a big honking amethyst that’s over 20 carats, beautiful saturated royal purple color with flashes of violet. Its cut is nice, but because of its size, it has to be set carefully so the point doesn’t make contact with someone’s skin. 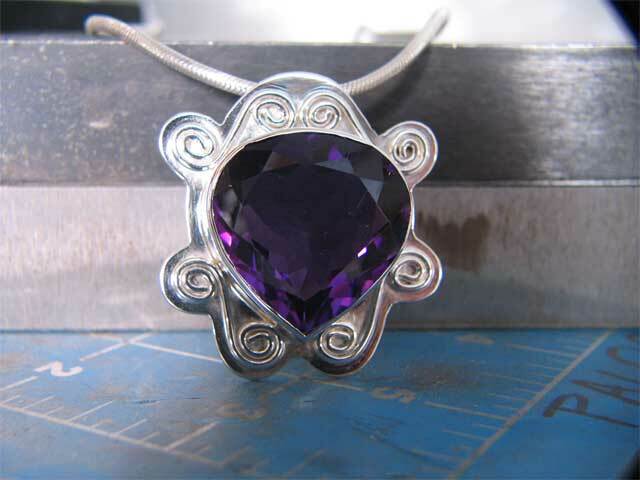 You can see a substantial bezel that I’ve made sitting right behind the amethyst. 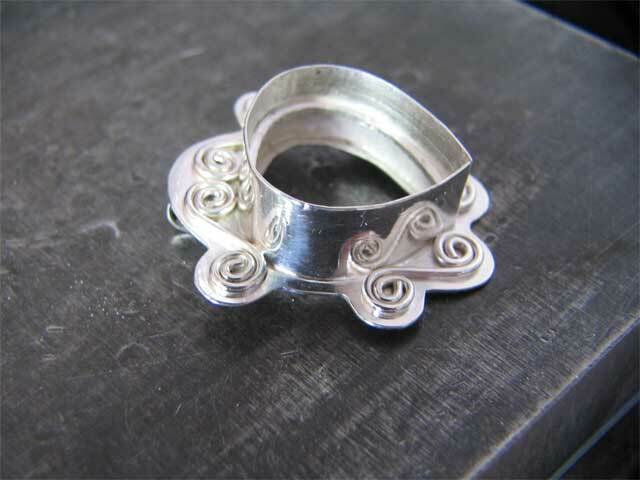 Now you see the setting made with some scroll work and it has been cut out of the background sheet and pre-polished. 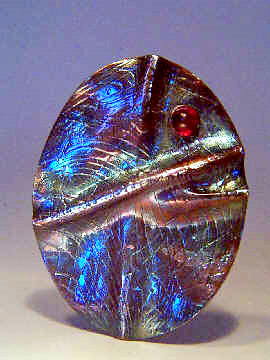 And here’s the finished pendant with a generous hidden bail. It has since gone to a gallery in Laramie, WY. The owner’s wife was more than helpful in helping him choose what to put in, and this was the first piece she glommed onto. OK, I’m way behind! However, you’ve seen what winter looks like in Wyoming, now I’m going to be showing you what it looks like in the spring and summer. 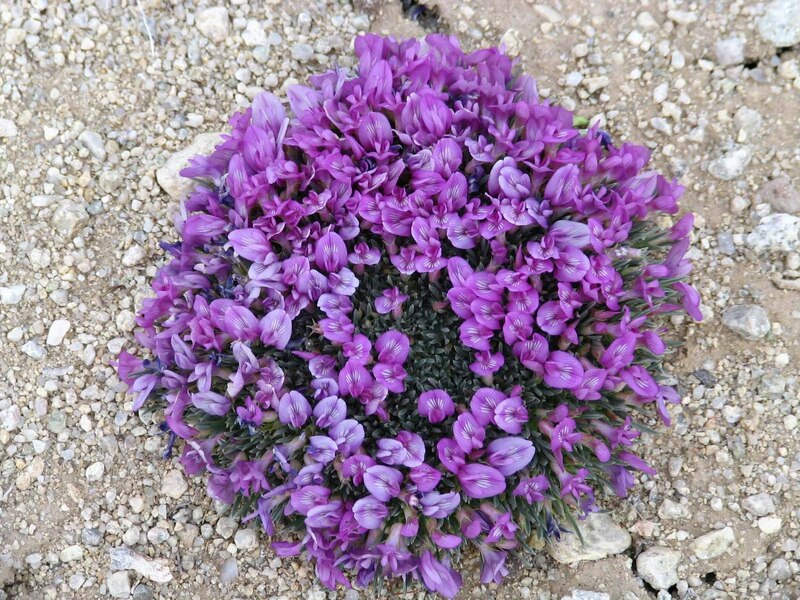 Those rocky hills come alive with color in a crazy patchwork quilt of stonecrops. Purple, yellows pinks, red, blue and white. It’s a site for eyes that haven’t seen much of anything other than white for months. 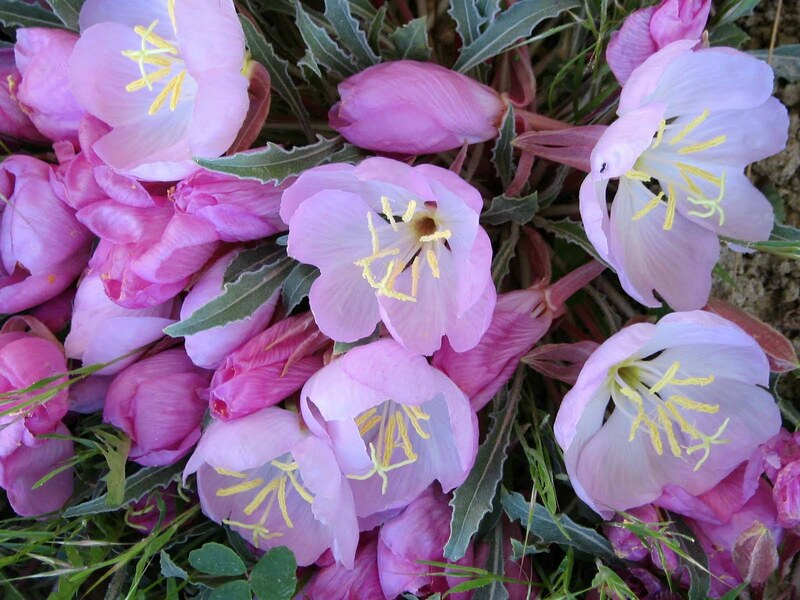 These are Rocky Mountain evening primroses. They come in colors from white to fuschia, and they smell so sweet. In the evening, you can smell these and the rock and evening jasmine on the warm draughts of air as it flows through the draws. 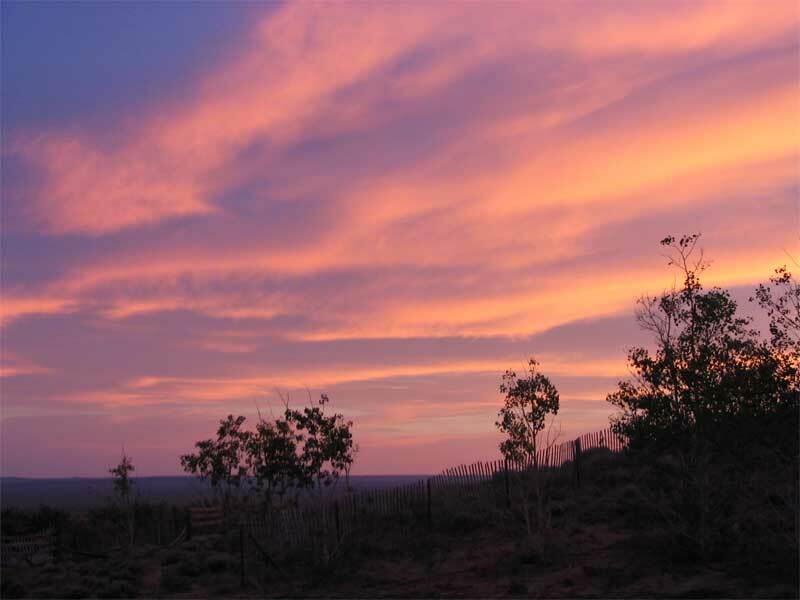 We have fabulous sunsets and sunrises any time of the year, but we definitely get to enjoy them more in the summertime! The winters in Wyoming are often horrid, but the summers are fabuously glorious! 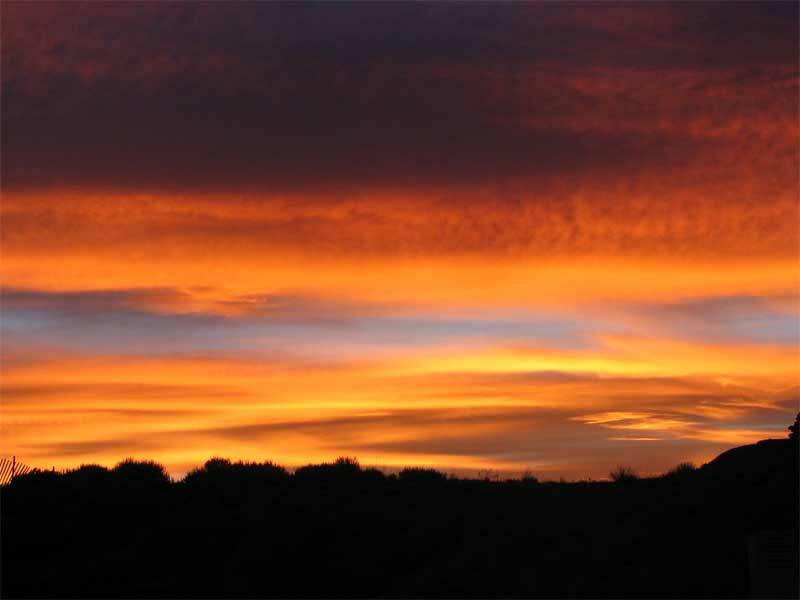 The temperature are usually in the mid-70’s to mid-80’s (Farenheit) for the daytime, 50’s and 60’s at night. Our annual heat wave usually comes the 2nd and 3rd week of August, where it might reach the high 90’s. The humidity is so low though most homes don’t have air conditioning. So if you bake your brains out where you are in the summertime, plan a trip to Wyoming and see some of the wonders here. Since almost every event has to be held in the summer out of necessity, there’s rarely a time there isn’t something going on. There are woodchopper jamborees, mountain man gatherings, pow wows, fairs, festivals, street dances and music in the parks. You can see Yellowstone, Devil’s Tower, the Grand Tetons, Jackson Hole, Frontier Days Rodeo (the Daddy of the them All), fabulous world class trout fishing, the Rise and Sinks Canyon at Lander–and the list goes on. Contact the Wyoming Tourism Board for their annual magazine that tells when the events are and plan ahead.